Home DIY Natural Blog Food Yes on Prop 37: Cultures For Health – Food Dehydrator Giveaway – $542 Value! 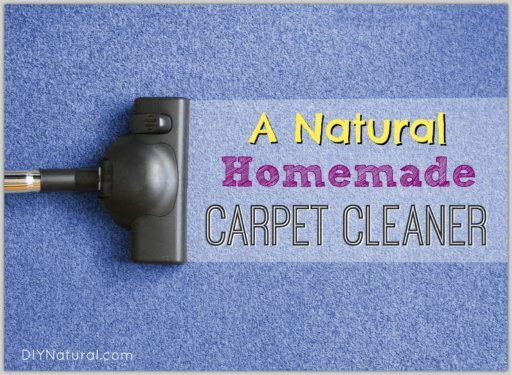 We’re excited to announce our first ever diyNatural giveaway! Better yet, it will be benefitting the Yes on Proposition 37 Campaign, and was made possible by the web-based company, Cultures for Health. Cultures For Health Goal: To create a website where people making a food change in their own lives could find all the products and information they need to be successful. It’s their passion, livelihood, and ministry to see others succeed in making the transition to real, healthful foods. Their mission is such a breath of fresh air in a food industry that withholds information from consumers and is becoming increasingly corrupt. Cultures for Health sells many of the supplies you will need for your Real Food lifestyle, including starter cultures, products for baking, sprouting, fermenting, and cheese making. Proposition 37, a Mandatory Labeling of Genetically Engineered (aka GMO) Food Initiative, is on the November 6, 2012 ballot in California as an initiated state statute. As you may know, these GMO foods are showing up everywhere on store shelves and have been found to be harmful to health. Companies are getting away with sneaking GMO ingredients into our foods, without having to tell consumers. Genetically modified crops are an enormous issue that affects our food supply and environment worldwide. Considering these things, it’s easy to see how we’ll all reap the benefits of Prop 37 being signed into law. The results of the November 6th vote in California will set a precedent for other states to follow suit, and for better transparency in the food industry. Because of these things, we want to do everything we can to support its passing. Not surprisingly, large corporations have put up over $30 million to oppose Prop 37. Companies like Monsanto, Coca-Cola, and Kellog’s (and many more) are doing everything they can to stop the passing of this initiative. Sadly, the little guys who are in support of Prop 37 just can’t match those millions of dollars to help get the word out. So, it’s up to us to help chip in to raise the funds to help educate Californians about the dangers of GMOs. Commercials, billboards, and other ads will help get people out to VOTE YES on Prop 37 on November 6th. To help raise funds for Yes on Prop 37, Cultures For Health has generously donated this incredible Excalibur dehydrator package! 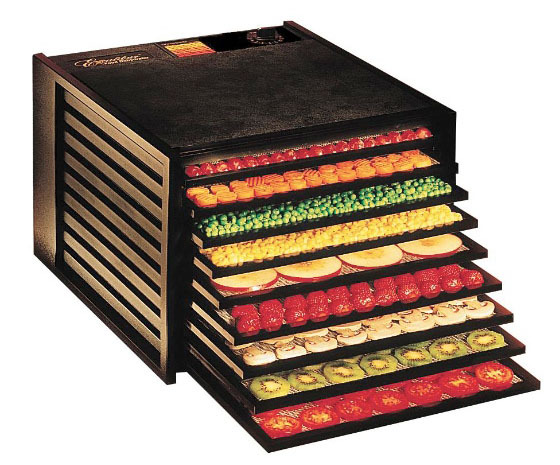 We have been coveting this exact dehydrator for months now, and are so excited (and a little jealous) one of our readers will soon have this awesome dehydrator system in their kitchen! The winner will receive, not only one of the best dehydrators on the market, but also all the peripheral components needed to get started. Use it for making dried fruits, veggies, herbs, jerkies, and a million other tasty treats. It’s the perfect time of year to put up the last of your garden goodies with this versatile dehydrator. In addition, the Excalibur Food Dehydrator can be used for fermenting or culturing. With low temperature settings, it even doubles as a yogurt maker! Thank you so very much for donating whatever you can to such an important cause. Sending good luck your way! I totally support Prop 37. We have a right to know what is in the food we buy/eat. I pray that it passes and we can see the ripple effect here in TX! We support everyone’s rights to know what they are purchasing, consuming, and feeding to their loved ones, pets, and livestock. It is a sad state of our culture that GMO labeling has become such an issue with so much resistance. We definitely support Prop 37 and other initiatives to require labeling of products containing GMO ingredients. Ultimately we would like to see an end to the production of GMOs in the first place. We have written about GMOs at http://rurallivingtoday.com/quality-of-life/big-deal-gmos/ and continue to share ideas for providing more GMO-free food for ourselves and our communities. I support Prop 37, it’s one of the reason why we moved from our home of 24 years to another state. Just so we could control what we ate by growing our own food free from damaging junk added by the food industry. GMO’s have NOTHING to offer but misery and cheap imitations of REAL food. Hiding behind the false lies is the lure for more $ at the expense of innocent children who don’t have a voice in what is served them. EACH individual should be able to make that decision for themselves, not some chemical company. Whether the government or big companies or anyone else thinks GMO foods are safe is not the point. We have a right to know whether foods are GMO or not! Let the consumer make the decision whether or not they’re safe! I support Yes to prop 37. I think it is shameful that this is even an issue, we have a right to know about what we are eating. I have starting growing as much of my own food as I can. Everyone has the right to know what we are putting in our mouth and the mouths of our children. Those against it have something to hide. I support Prop 37 because I want to avoid GMOs. If there is nothing wrong with them then the companies should have no problem labeling them. Let consumers make their voice heard by voting for the products they wish to consume with their dollars. I do support proposition 37 and donated to Millions Against Monstanto a few months back. I believe we have to right to be informed and to choose what we eat. I think that we, as consumers, have every right to know what is in the foods that we put into our families’ bodies! I am so glad for this legislation! I just want real food,nothing less:)My hope is that other states take this on as well. We have a right to know what is in our food! 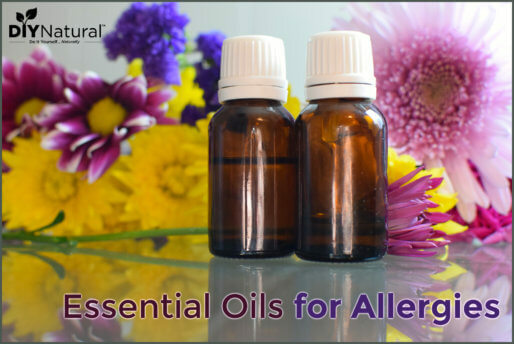 Our family also deals with food allergies/intolerances and autoimmune diseases. We need to know what we are eating and have it labeled properly. Thank you to all who have worked on this issue! I support the right to know what is in food. I do wish that there would be a total ban on these altered ‘foods’, but short of that, information is a consumer’s right. I think that Prop 37 is a first step…hopefully other states will follow suit. Consumers certainly deserve to know what they are purchasing….everybody should know what they are putting into their bodies!!! I don’t know how you could build a case against this legislation. I can’t think of a single reason why it should be passed. Well, besides the inconvienence it will cause the big food companies, poor them. I fully support labeling GMO foods, I would not eat these items, so why should I not know they are there so I can eat another item that is the real deal. I support prop 37. I try to not buy foods that might have gmo ingredients- it can be hard since they are Not Labeled. We are a family with food allergies and autoimmune disease, the engineering of our food supply has got to stop! I support prop 37. Consumers definitely have a right to know what is in the food we consume. I think many people would be shocked at how many GMO’s are in their food. I will vote Yes on Prop 37. I live in California and have signed petitions, actively share this info with others and feel we have a right to know what we are eating, esp. if science has proven it can cause tumors in lab rats. I have already donated for the YES on prop 37 prior to finding your website. I use to live in CA and if I were there now certainly there would be one more vote for a YES. Trying to convince everyone I know to vote yes. I think it is insane that companies are allowed to put whatever they want in our foods and we just blindly eat them….Since when does it come to this? Why are we allowing are government to do this to us..We need Proposition 37…we should be told what we are consuming.. What about those that have allergies? As a newly wed it is has been very fun/interesting trying to figure out this whole cooking for two thing. The biggest issue we have is that we have so many food allergies between the two of us it becomes very difficult to cook a “simple” dinner. I know we would both love to have a food dehydrator because at least we could have some healthy snacks when we are out and about where there is nothing that either of us can eat. I support prop 37 because genetically modifying anything, especially our food, does way more harm than we can even imagine to us and the Earth. I think it’s super important for people to be able to have easy access to the FULL ingredient list on ALL foods! I have one son with Asperger Syndrome and another one who possibly has ADD or ADHD and we found a way of eating that helped them to behave better and unfortunately we have been forced by their school systems to go off this “diet.” It makes me mad because now I am being forced to consider medicating them. If the food the schools are serving was labeled properly then I would be able to put up more of a fight. I support prop 37 because I have an autoimmune disease and don’t need to eat GMOs. We need to know the ingredients, nutrients, and important information as to whether our food has been genetically altered. I am happy that Prop 37 will be on the ballot. I support Prop 37 because we need to make dramatic changes in order to be a healthy people group. It’s hard enough making these changes in a country full of misinformation and political agendas. We try making better choices, but don’t even know what is in the food we buy! It took me years and years to realize that the health issues I was having were caused by poor nutrition from what is taught as a “healthy” diet. We need the information about what truly nourishes our bodies, AND the ability to find those foods! The toxicity of GMO seeds does not stop in the earth; once eaten the body becomes a GMO factory and habitat with potential to destroy and mutate cells. Hopefully CA will get the ball rolling for those of us on the east coast! It’s appalling how GMO foods have taken over our country. I support prop 37 by sharing information with friends and family. I pray that this will pass and people will become more aware of the dangers of GMOs. Knowledge is power! The only reason GMOs are even in our food is because of secrets and deception. I’m voting yes on prop 37 because i think we have a right to know whats in our food! I support Prop 37. I don’t live in California but I do hope that this passes and the other states proceed to follow! We try very hard to eat organic. It is so difficult sometimes to know if what you are purchasing is labeled correctly. This will require labeling to know if the food is made from plants or animals with genetic material changed in specified ways. I do not want to purchase any foods that have been genetically modified! Prop 37 is the first of many steps we need to take to break the cycle of our food becoming less and less food- like. Consumers will always have the power to make choices but labeling has to be honest first! If there is nothing to hide then why do these weasels squirm so violently at the thought of being transparent?!? I believe in preventative health care… and when the studies show SO CLEARLY that GMOs are detrimental and damaging to health, I believe it’s our duty to run away from them as fast as possible. Putting wholesome food into our bodies is about as personal as it can get. All of us need to know the ingredients, nutrients, and important information like whether our food has been genetically altered or not. I am so glad to know that Prop 37 will be on the ballot. Supporting Prop 37 is the first and best step to take! “California leading the way to remove the poison from our food supplies!! Hang in there we are with you! Thank you so much for getting this on the ballot!!! We need food companies to be held accountable to tell us what we’re being fed. It is sad to me that there is even a need for GMO labeling but because there is, I think it is important that we have GMO labeling so that we can become informed consumers. It is time for America to stop hiding what’s in our food!!! Letting Monsanto win is a detriment to farmer’s right as well as our own. Let them own our food and next thing you know they will be subjugating our bodies. As if they already haven’t. Protect our youngins! I believe that we have the right to know what is in our food. I will be voting yes on Nov 6! I really hope this law passes and we are able to know what’s in our food!! I wish the government did more to protect us! 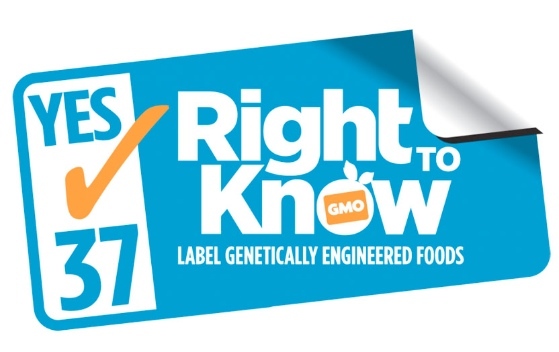 I believe in Prop 37 because we have a right to know whether if something is GMO. I support Prop 37 because we need to know what our food contains! I want to raise healthy kids and not have them suffer from the unknowns that we are putting into our bodies. I support Prop 37 because we should all be able to know what we put into our bodies and especially our childrens bodies! It just makes me sick to know what all is being put into our foods. It isn’t any wonder why there is so much cancer and food related allergies now a days! I fully support Prop 37 because I want to know that I am feeding my family food that is free of GMO. The GMO label will make trips to the grocery more manageable and less time consuming. I try to feed my young family a diet free from gmo not only for their health but also for the health of my future grandchildren (even though that is still 25 years away!). We are a “Clean” and unprocessed family – I think its awful that keeping my children healthy and teaching them proper eating means also educating them on GMO’s. We struggle daily to avoid the GMO’s and do our best – this should be a mandatory label! I support Prop 37 because we should all have a choice to decide what we put into our bodies! And if this passes in California then it could very well go nationwide! …It is a shame that we have not done this already. I live in California where we’re aggressively pushing for passage of Prop 37, and hopefully the adoption of similar transparency laws throughout the country. And while the passage of Prop 37 is critically important for all of us who currently care about our environment and what substances we’re actually putting into our bodies, it’s also true for future consumers . We must protect our right to know now, so everyone can vote in elections (and with consumer dollars) to promote the nature of food production we want our farmers/corporations to pursue in the future. Think of Prop 37 as the vanguard of protecting the future of all people, not just those who agree with us on election day. If GMO foods are allowed to go unlabeled into our food chain today it will be extremely difficult, if not impossible, to force full disclosure of labeling in the future. Please donate now whatever you are able–even $5 helps our mission of transparently labeling all substances that are used in the growth and manufacture of our foods. Only then will all consumers have the ability to make truly informed choices. I believe everyone has a right to know what they put in their bodies! I believe we all have the right to know and to choose what is in the food we eat. I am a wife, mother, primary grocery shopper and chef in my home. I also suffer from multiple sclerosis. How in the world am I supposed to be able to make the appropriate choices to take care of myself and my family? There is much talk of rising healthcare costs, yet actions necessary to enable the public to make the healthy choices for themselves and those close to them have been slow to come. We absolutely have a right to know what we are putting into our bodies! Everyone has a right to know where there food is from! We have the RIGHT to know what we are buying and eating. Haveing a diabetic child it is really important to me to know what is in the food she eats.Other countries have already banned gmo’s or they require strict labeling. I support Yes on Prop 37 because I believe we have the right to know what is in our food. The U.S. is way behind in this and it is unacceptable. We absolutely NEED to know what goes into our bodies. I am already subscribed to Diy Natural. Labeling our products is only a sign of an honest company. If they are not required to list GMO ingredients, then we can not make smart selections for our families. Also, they would be able to make alterations and we will never know the difference. I don’t live in CA, but I think if everyone knew more about their food, a lot more people wouldn’t be sick, obese, dying, etc and we’d see more happy, healthy individuals. Living in MO but praying and hoping that this gets passed in California. It would be such a huge step forward for our families. C’mon California…..you can do this! GMO foods are so dangerous. Yes to Prop 37! There has to be something good left for our grandkids. We are borrowing the earth from them and need to know how to take care of it and ourselves. We are adamant against GMO’s but it can be so difficult sometimes. That ONE time you don’t read a label, you get home realize it’s garbage. Required labels will be revolutionary! I don’t live in CA but I definitely believe that we have the right to know exactly what we are nourishing our bodies with! Because we should have the right to know and make an informed decision!! Scripture tells us not to mix different kinds of plants in our orchards, vineyards, or fields. If we aren’t supposed to let our food plants pollinate outside of their kind, then we surely aren’t supposed to splice completely foreign DNA together. For religious purity and rights, I need to know if there are gmos in my food! Oooohhhh pick me pick me! I have wanted one of these for ages …. I want to know whats in my food and the food I feed my children. I voted YES on Prop 37! Sent in my absentee ballot today. It is so important, for our health and our future. I follow a strict diet (much like The Earth Diet) and I believe we should not eat GMO food. I support prop 37 and I hope companies listen to those of us buying the food! I support Prop 37 because I want to be sure that in choosing to eat and purchase natural foods, that I am ACTUALLY receiving natural foods. I have a right to eat as I choose and Prop 37 will allow me to be sure of it. I absolutely support this measure and will do what I can should I be able to vote for this in my state. i honestly wish they would do this in Illinois (where I live). we have the right to know what we are putting in our bodies.! I have been spreading the word to anyone who will listen and many who don’t want to! We can take control of our health as long as we have the information. I recently switched to a plant-based diet and I can’t tell you how good I feel. We NEED to know where our food comes from so we don’t unknowingly expose ourselves to harmful substances. Down with Monsanto! No one should be able to put a patent on seeds. We all have a right to healthy food. I support Prop 37!!! People trust the FDA without actually looking into what they themselves are consuming and what they are feeding their children. America is a free country and deserve to know the nasty truth about what our food actually is made of and the horrible side effects it causes such as cancer. I believe most americans don’t even know what GMO actually is! I’m very much in favor because unfortunately it seems I have digestive sensitivities to GMO foods. I wish there was some studies done, but if food was at least labeled I’d have a fighting chance at living a normal life without digestive distress! Food choice should be a fundamental right in the U.S. this is the first step we need in regaining our freedom, starting with what we put in our own bodies…. i want to support prop 37 even though i live in texas because our quality life depends on it! GMO food is detrimental to the future of our food source as well as the future of our and our children’s health! We have a right to know and choose what we put into our bodies. I do believe that we as a people need to unite more for children’s future, and for their health. If we don’t gather together to protect the humane race the big corporate’s running the fortune 500 companies will makes us vulnerable to all that is killing us with diseases. They don’t want to stop because their greed isn’t satisfied. I believe it does take a village to raise a child. We are all in this together, to better our future and our children’s future, free of disease,and free of illness. Together as one we must fight. I have also signed that petition on Change.org and urge everyone else to also sign it. i support prop 37 because besides the fact that GMOs just give my gut the ‘wrong’ feeling, i have yet to be convinced they are safe. i’m proud to be a californian this november to help set the precedent for this! I support prop 37 because I want to know what is in my food…. what I choose and choose not to buy! I wholeheartedly support voting YES to Proposition 37 in California. We have a right to know what is in our food and it is not right that “big business” should try to thwart that. Aside of all the horrible things that GMOs do and aside of all the corruption to prevent the public from knowing, we just have the basic right to know what we are purchasing and ingesting. We have the right to know what we are eating and what we are feeding our families. I support Prop 37 because everyone has a right to know what is in their food! I support Prop 37 because EVERYONE has a right to know what’s in their food. We need to know what we are eating in order to make informed choices. Truth in labeling! Yes on 37! I have been sharing info about this bill for a while, even though I don’t live in California. I have family and friends that do! We should know what is in our food to make informed choices! I support Prop 37 because people have the right to know whether they are eating genetically modified food and because it will make clear to people just how far GMOs have gotten into our food supply and farming system. It is a shame the companies won’t just do this without legislation to MAKE them do it. Just proves how bad their products are for our health! VOTE YES TO PROP 37!!!! We all have a right to know what is in our food! I support Prop 37 because I want to know what’s in my food. It’s as simple as that. we need to protect our children and our bodies. GMO and GE foods are toxic and should never of been made. Yay! Finally we are SO close to knowing exactly what is in our foods! Go Prop 37!! I think it is great that you are taking on this giant. These companies are so big and so powerful, but as we have seen from people who have had the guts to stand up for what is right, things have changed for the better. I am 62 years old and have always been very careful about what I eat and what I put on my body but as the years go by I have seen a real shift in the food industry and it makes me so mad that every day we and our children are being poisoned. It has got to stop!!! Even though I don’t live in CA, I think that prop 37 has the ability to set the standard for companies to know what we as consumers want! I really hope that this goes through and would love to see my state take a stand! I am finally realizing how important it is for us to be ‘aware.’ I’ve heard the term thrown around, but it hasn’t had as much impact as it should have until I made the decision to start understanding what I eat, how I vote, etc, and how it impacts me and my family. Being aware leads to better decisions. If my government really wants me to make better decisions, I want them to pass laws that give the information I need to make those decisions. the more people know, the more they care. the more they will want a healthy diet. …Because my kids saw the movie The Lorax. It prompted a lot of question which turned into other questions that got us thinking…if there are is no grass, what do the chickens eat…where do they get the flour to make chicken tenders…mommy remember that movie about how chicken nuggets are made? So sorry I am unable to donate at this time. However, I support Prop 37 all the way. We all deserve to know what is in our food. I try to spread the word at every opportunity. Praying that Prop 37 passes! I cannot donate at this time but value the importance of mandatory disclosure of all ingredients in all of our food. GMO’s are a scary thing! I truly hope this passes! Its so wrong that we don’t even know what we are eating and big cooperation’s just look the other way, shows how much they care about all of us, and yet some people think they are trying to help us in some way! I can’t believe that is even has to be something to pass it should already be on ALL OUR FOODS, we have a right to know what we are eating. Of course, subscribed to your blog from day 1. 🙂 Even though I can’t donate at the moment, of course supporting this proposition is a no brainer if we care about what we put in our bodies. GMOs are a big no no. I am seriously hoping this passes in California. I hope this passes and comes here Michigan too. Even better, all the states! We have a right to know what is in our food and how it is made. I have 5 kids and I want healthy futures for them and all our children. Not getting sick from the food we feed them. I hope this passes in California. We have the right to know exactly what we are putting in our bodies! I made a donation. I hope this passes and makes its way to rest of us. We have the right to know what is in our food. I have donated to help pass prop 37. I feel that we have the right to know what goes into the food our families are consuming therefore I fully support Prop. 37 and will be voting in favor of it in the coming election. I live in MI so therefore cannot vote on Prop 37, but it is SOOOO important. This will set the precedence for the rest of the country. We have a right to know what is in our food! I give my support because love is a human issue, not a government issue. Unfortunately not able to donate, but as I live in CA I will be voting for it. I think its ridiculous that other countries have banned GMOs, but the US won’t even label them. I can also not donate at this time, but I most definitely support Prop 37 passing in CA, I’m in Kansas, but if we can get this thing passed in California, then we can pass this thing everywhere! Not only does Prop 37 need our uniquivacal support, we must have the legal right to know what’s in our foods. Cancer, heart disease, diabetes…. etc., these diseases and many more can all be linked back to terrible food additives and genetically engineered food prodcuts. I’m spreading the word! Everyone in my household supports prop37 and care immensely what we put in our bodies everyday! It is our right to know. Pass Prop 37, for our health! I support Prop 37 wholeheartedly! We need to know what we are putting in our bodies! I support Prop 37 for the future of my kids’ health. It’s absurd that this even has to be voted on! It is the FDA’s responsibility to protect the consumer, by not mandating products to be labeled correctly they are failing to do their job. I sure do hope this passes and that other states follow suit. Yeah, unfortunately it’s because, in this case, the federal government is married to industry and employs a revolving door of leadership between the two. So we need action at the state and local levels. I will be donating after my paycheck gets deposited. I am all for transparency in the food industry so we can make informed & educated choices on what we feed our families. No more sneaky labeling or inhumane treatment of animals! Let’s know the 5 w’s of our food. I feel we have a right to know what’s in our food. While I can not donate at this time, I do encourage my family to read labels and avoid GMOs whenever possible. We are parttime garden and buy non GMO seeds for our garden. Californians should support Prop 37 to ensure a safe food supply for future generations. It just makes sense! I and everyone have a right to know what we are consuming. If I don’t want GMO’s and you’re sneaking them in, you’re violating my rights! I’m looking forward to the passing of Prop 37. We have right to know if our foods are truly organic or GMO laced. I am ordering your book next week and am looking forward to trying out more of your ideas! I already use the laundry soap, softener and toothpaste recipes from your site! Thank you for spreading the word on Prop 37. As a mother with children with severe allergies, we must know what we’re feeding our families. Whereas I am not in a position to donate, I do support this 100%. Families trust that the foods that they buy at a supermarket are safe. Instead they are buying poison, and don’t even know it! There is way too much “business” mentality in the making of things we eat. Crops die, bugs go nuts some years, so instead of finding another way to get by, and they instead start changing the genetic code of crops to make them more drought/bug resistant. In all of that code changing, did someone not stop and think hey maybe this could change MY code? It’s a horrid situation, and I personally believe that EVERYTHING should be labeled GMO or not! I would love to see all the GMO consumables off the market…..now, that said, for things like fuel and such, I don’t know what to think about that yet. GMO corn made for strictly ethanol production, I don’t know how I’d feel about that without more research and information. Thank you for the wonderful giveaway, and thank you for the entry into it! I’ve been subscribed with you two for a long time now and I LOVE what ya’ll do and have inspired me to change in my life! I’m torn on this issue, honestly. I believe we should know what we are eating and I despise that food manufacturers use sneaky tactics to fool and bully the public but… I really hate depending on the government to regulate anything. They always screw it up and the food manufacturers will find a way around it somehow. I know what you mean Amanda, legislation is over-burdensome in this country already, but this is at the state level and is well within state jurisdiction. Also, can you think of a better solution to help halt the GMO onslaught? I can’t, and that is why we support this legislation. Hope this helps. Blessings. I can’t donate, but I support Prop 37 fully! We have the right to know what we are putting in our bodies! If Prop 37 passes in CA, it might mean GMO labeling for the whole country is soon to follow. This is a GOOD thing! It will bring more attention to GMO’s, and more people might begin to care. I am in favor of prop 37. I think we as consumers have a right to know exactly what it is that we are consuming. I personally don’t like the idea of feeding my family mysterious products & ingredients that didn’t exist in nature before being placed in a box or can. It’s very hard to feel like I’m doing my job as a mother when I can’t tell what exactly my family is eating. It is abhorrent how many laws there are in the United States that were passed in the interest of corporations rather than the people that our officials were elected to serve. All consumers have a right to know where their food comes from and what is in it! Although I am currantly unable to donate at the moment, I URGE all people in CA. to pass Prop 37. THIS IS A GROSS INFRINGEMENT ON OUR RIGHT TO KNOW WHAT WE ARE CONSUMING!!!! I cannot donate today- but fully support prop 37! I hope it will pass in CA- I think it has a good chance. Hopefully it will spread the nation! I am sorry I couldn’t donate at this time, but I am praying this passes. I have signed several petitions and I hope it helps. I have been encouraging my family and friends to make our their bread from GMO free grains. In my opinion I think that a lot of the allergies people have are because of these same GMOs and that modern day food has much of them. I have the same problem in that I’m allergic to regular pasteurized store bought dairy milk. I can drink raw milk just fine, though. The whole point isn’t that people shouldn’t be ban from eating products that contain GMOs, but that they have the right to make the choice to consume or not consume them by knowing what products do and don’t contain them. It’s America people. FDA give us the knowledge to decide for ourselves! GMO’s are just horrible! I’m praying that Prop 37 will pass in CA !! I so hope Prop 37 passes since we have a RIGHT to know what is in the foods we are consuming. 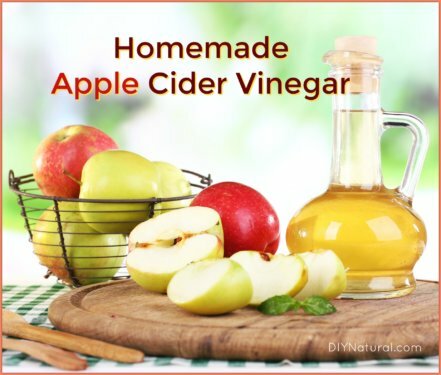 I am totally for the labeling of GMO foods, and I love the emails I get from DIY natural. I am very bummed that this contest is not open to residents in Florida! Prop 37 is MUCH needed!!! & when it gets started in CA, it can’t help but spread to other states! I’m in favor of Prop 37 and live in VA. I HATE what the big ag companies are trying to do with our food and water supply. Whoever controls the food, controls the population. I’m unable to donate, I do follow and have for a while; best of success in CA. skb.groups at gmail dot com – a different e-mail from the one listed with my name; I don’t want my address picked up. Unable to donate right now but I’m actively attempting to educate the ppl around me about the importance of Prop 37 and to vote Yes. Also promoting your website because I’ve learn so much from it that really works and as a result saved me $$$. Thank you and God bless you and your ministry. I can’t vote for Prop 37 as I live in TX so I donated instead. Hopefully this will pass and be the beginning of big things. As a mother and wife to a family with LOTS of food allergies it is so important to know what is in the food we give to our families. I hope this passes and encourages other states to follow. I can not donate at this time, but I am encouraging people I know to vote for mandatory labeling of GMO products for our health and our children’s health, and for a future for our environment.